Suitable both for the left and right and Ovens. 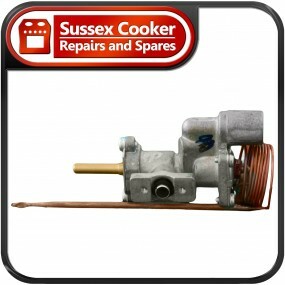 The Stoves Main Oven Thermostat will fit many Stoves models including those listed. If you cannot see your corresponding model then please contact us with your model number and we can verify the parts suitability. This part replaces the Oven Thermostat that regulates the ovens temperature during cooking on Hygena Cookers. 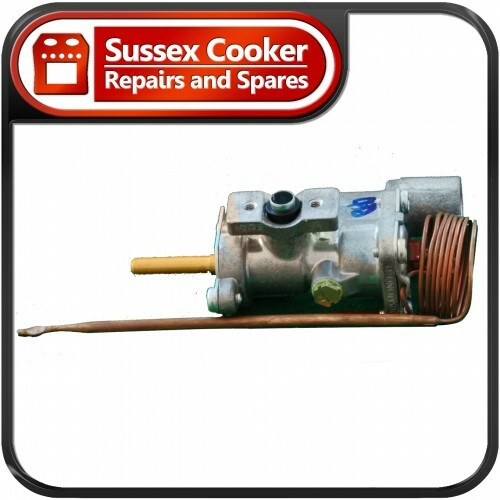 The typical symptom for a faulty Thermostat is that the oven will not maintain a stable temperature and have the tendency to overheat. If you are finding that your oven is incinerating everything you cook then this is what you need. 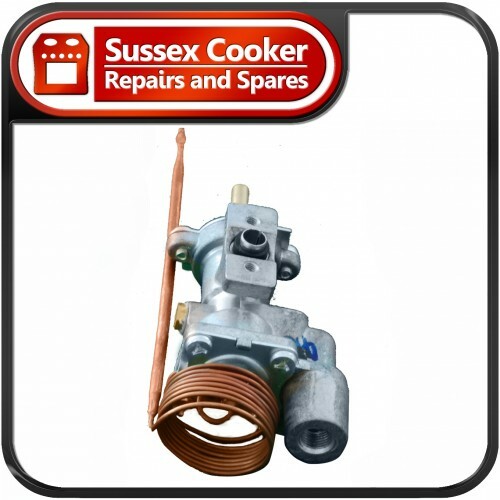 We welcome you to Email us through or call on +44 (0) 1273 420134 if you are unsure or need verification that item is correct for your appliance. In order for us to help your inquiry we ask that you have your model and serial number for the appliance to hand when calling. We have a wealth of expertise on Stoves cookers as well as other models Gas and Electric so do please contact us for advice. We are very experienced at helping all levels of competence and endeavour to understand your needs and to use language you can understand. We can also supply most spares for all British & Continental Gas Cookers, Natural Gas or LPG - as well as Electric & Dual Fuel from stock. Please contact us with the make and model for details.